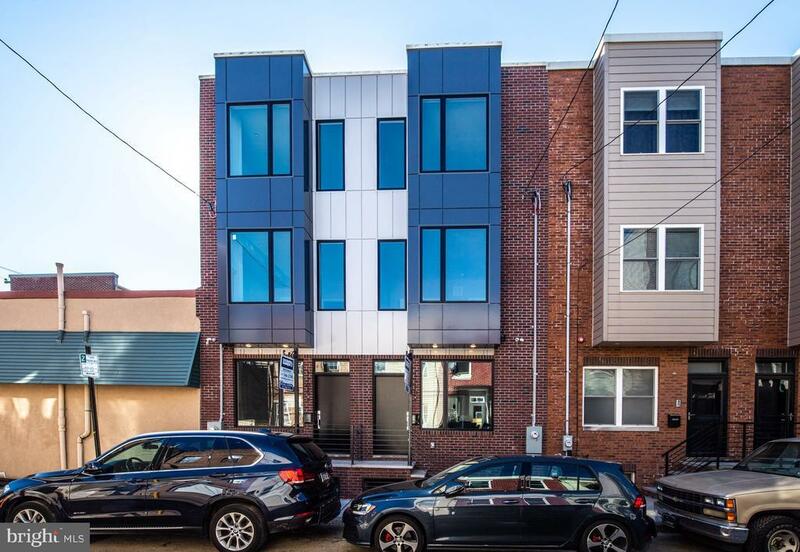 Brand New Construction on one of the best blocks in Point Breeze! 1710 Manton Street is a 3 Bedroom, 2.5 Bathroom gem, with Central Air, and an APPROVED 10 Year Tax Abatement that consists of 2, 700/SF of living space. Acacia solid hardwood flooring is throughout the above ground levels. Pella windows allow tons of natural light, especially to your living and dining areas. The kitchen consist of modern flat panel kitchen cabinets with matte black pulls, Kitchen Aid professional appliances, and Carrara marble countertops that waterfall off of the island that is great for a prep, a quick meal or entertaining. Upstairs on the 2nd floor are two large bedrooms. a full bathroom and a laundry room for convenience. The 3rd Floor is a full Master Suite with a HUGE bedroom, Walk-In Closet and a Master Bathroom with a 3-piece frames glass shower, double vanity and a private toilet closet. This home has great outdoor space. The roof deck has dead-on unobstructed views of the Center City Skyline and the back yard is large for city standards and has plenty of room to hang out in. 1710 Manton Street is within walking distance of Point Breeze~s best amenities including; American Sardine Bar, On Point Bistro, and Burg~s Hideaway Lounge. It is also just short walk right down 18th Street to Rittenhouse Square Park and Center City Philadelphia. Also, just 3 blocks from the Broad Street Line for public transportation!